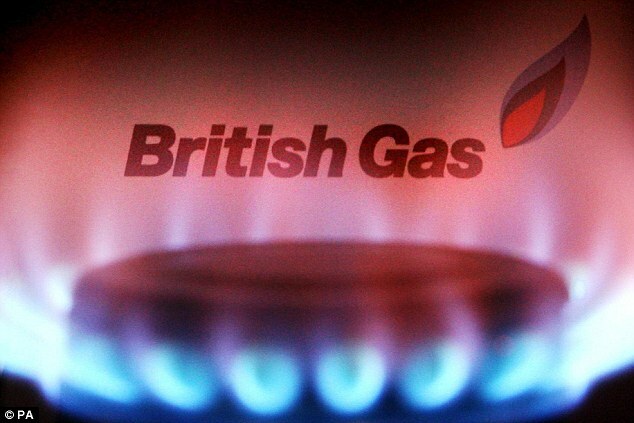 Energy supplier British Gas has paid out £2.65million in refunds, compensation and redress after overcharging more than 94,000 customers, a regulator revealed today. Ofgem said Centrica-owned British Gas misinformed customers by issuing incorrect terms and conditions about exit fees, wrongly charged them to some customers and applied incorrect charges to others after their fixed deal came to an end. It also said British Gas wrongly informed 2.5 million customers that exit fees were chargeable during the 49-day period before their fixed deal expires and incorrectly charged exit fees totalling £64,968 to 1,698 fixed deal customers. Ofgem, which opened its investigation in July last year, said before it had concluded its probe British Gas refunded all customers overcharged by more than £1 and paid out £502,633 in compensation to them. The provider has also agreed to pay a further £244,770 in compensation to customers wrongly charged exit fees and the standard variable tariff and pay £1.1 million into Ofgem’s consumer redress fund. Anthony Pygram, director of conduct and enforcement at Ofgem, said: ‘British Gas failed its customers who were coming to the end of their fixed contracts and switched supplier by unfairly penalising them and applying charges in error. ‘Many more customers could have been deterred from getting a better deal due to the incorrect terms and conditions. ‘Ofgem put in place the switching window to help all customers switch before they are rolled onto their supplier’s expensive default rate. What did British Gas do wrong? Ofgem said the system error at British Gas that led to customers being rolled on to more expensive rates also saw 18,095 customers who decided to switch being wrongly charged at a cheaper rate. A Centrica spokesman told MailOnline: ‘A system error led to a small proportion of customers being incorrectly charged. We’ve apologised to the customers affected. ‘Those who were charged too much were promptly refunded as soon as we identified the issue and were paid an additional goodwill gesture. ‘Some customers were provided with initial communications containing incorrect terms and conditions – but all other communications they received were correct. Ofgem said that under licence conditions, energy customers are generally entitled to switch at any time during or after the so-called switching window without having to pay an exit fee. The switching window is designed to encourage customers to switch to a better deal before they are rolled onto a default tariff at the end of their contract. British Gas recently announced it was raising the cost of its standard variable tariff by 3.8 per cent on October 1, impacting 3.5 million customers. Richard Neudegg, head of regulation at uSwitch.com, said today: ‘British Gas has been rightly reprimanded for undermining consumers’ trust in the energy market. ‘Anyone on a fixed term tariff has a right to switch to a new deal without paying exit fees when there are 49 or less days before the fixed term ends. And when customers do switch in this period, they shouldn’t be put onto a standard tariff. ‘Energy customers expect suppliers to get the basics right, like knowing when they shouldn’t charge exit fees.